Information night for middle school and high school cheer has been cancelled tonight. Currently interviews are underway for a new coach, and once selected the new coach will reschedule the info night. Sideline cheer tryout dates TBA. 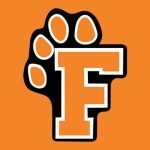 Be sure to check Fenton Athletics and join Fenton Cheerleading on Facebook for information updates. Multiple Teams · Jun 1 Speed, Agility, and Weight Training is Back this Summer! Multiple Teams · Mar 16 Do You Want To Be A College Athlete?